ITER Robots | Pre-teens can too! Made-from-scratch movers and carriers were again on display near ITER, as the younger set took up the ITER Robots challenge. 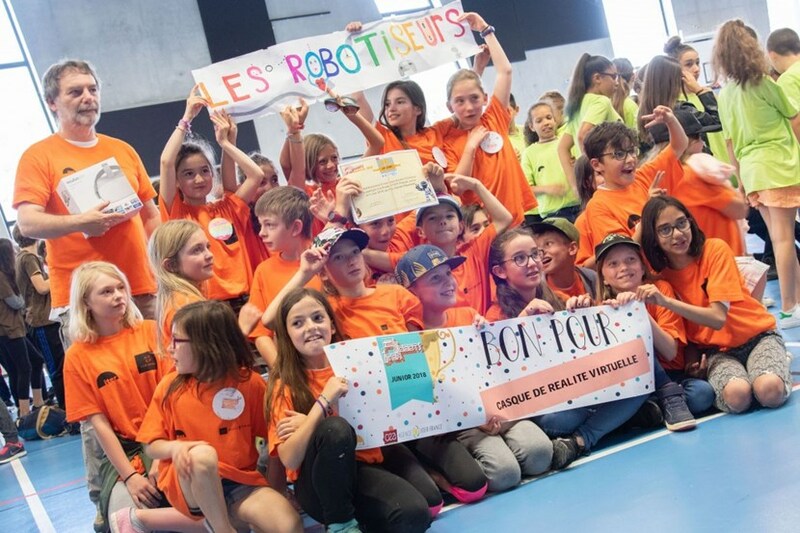 From two participating schools in 2012 to sixty-five in the most recent edition, the ITER Robots contest has continued to expand and is now firmly established in the regional pedagogical landscape. 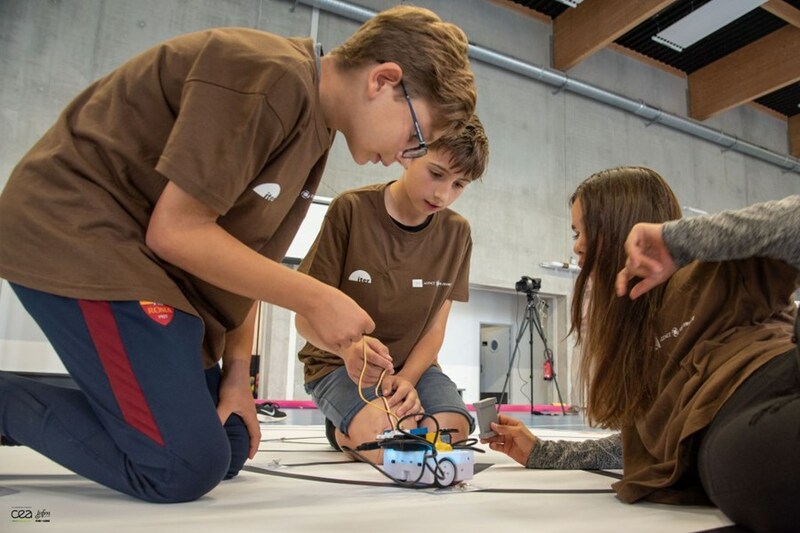 Under the supportive eye of an adult mentor, students work in teams over much of the year to design and program robots to carry out the ITER-like handling tasks described in the contest's technical specifications. Along the way—in addition to learning a good deal about the kind of challenges ITER engineers face—the students learn valuable technical and interpersonal skills. For the first time, organizer Agence Iter France has expanded its successful concept to benefit 4th, 5th and 6th graders. More than 320 people were present on 5 June to support the first Junior Challenge—10 teams competing in robotics, general culture and communication (creating a stand). ITER Robots Junior, like the original, is organized in partnership with the ITER Organization, the Aix-Marseille academy and the Institute for Magnetic Fusion Research (IRFM, CEA).